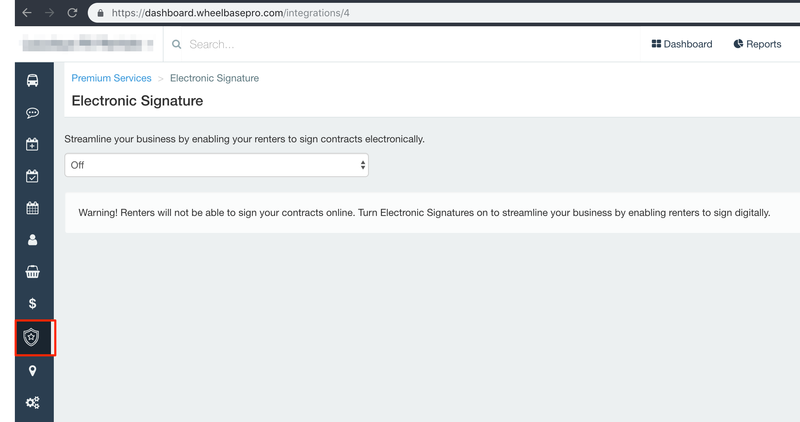 The Electronic Signatures feature of Wheelbase utilizes the electronic reservation receipt, along with any other documents you upload and select, to be sent to the renter for signature. By them signing, they agree to all the documents that are attached. 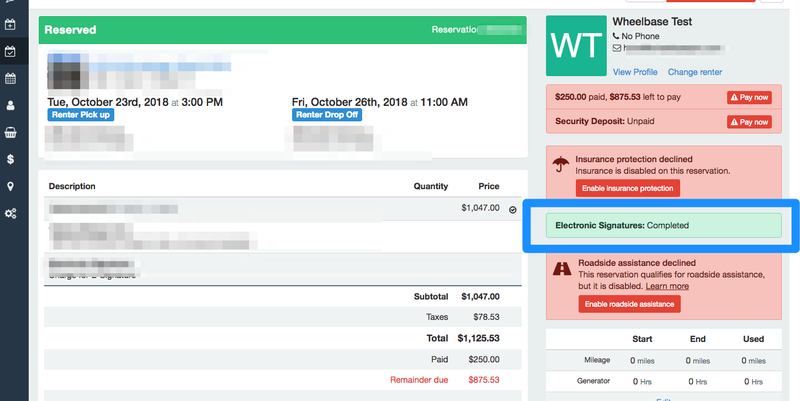 Electronic signatures are $1 per signature, and will be deducted from the deposit to your bank account. 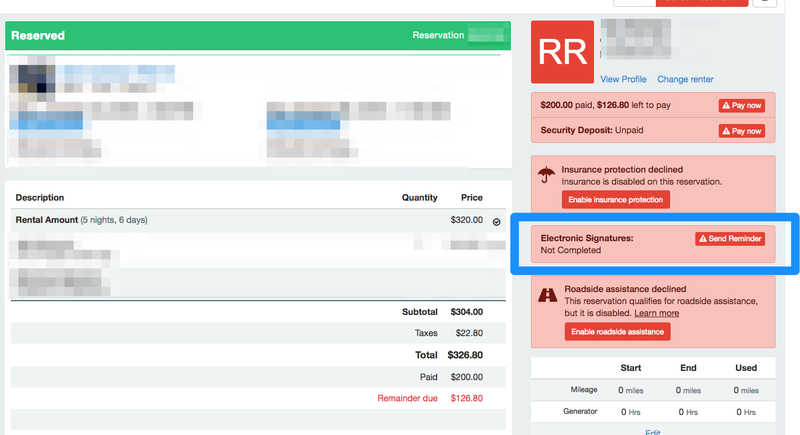 Once signed, the Electronic Signatures field on the reservation will turn green and show "Completed"
From the main menu, navigate to "Premium Services"
Navigate to Account Settings > Policies and documents, and "Include in eSign Document"
Once "Include in eSign" is checked, your attachment will be added to the receipt of the reservation which the renters will sign. This signature agrees to all attached contracts with the receipt.